I’m a professional gambler, and I share my horse racing tips for today. My Free Bet of the Day will be posted below, after midday most days. 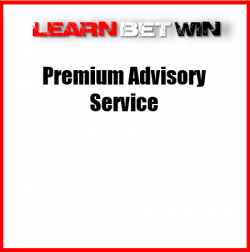 Since my Premium Advisory Service launched on 1st of October 2013, the Free Bet changed slightly. The advisory service has around 15 bets a week, and they will be emailed to members daily between 8:30 and 11:30 in the morning. The Free Bet therefore will now be the horse I think represents the best bet of the day, at the current odds after the 11:30 cutoff for my premium bets. It might be a horse that fell just below the criteria for a premium bet, or it might be in a race where the market hadn’t properly formed before noon. 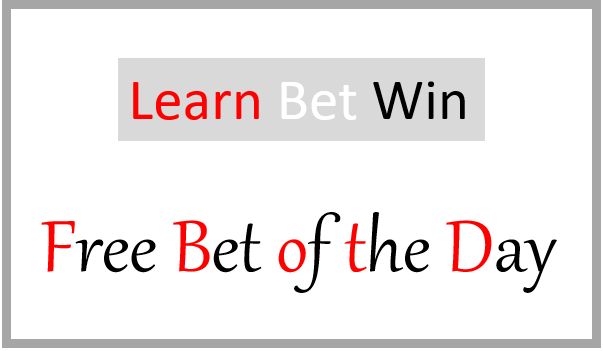 As soon as I post today’s horse racing free tip, I will tweet a link to this page, so please Follow @LearnBetWin for updates to this, and other pages on the website. I’ll provide a brief reasoning of why I think the horse is a good bet, a more detailed explanation would only result in giving away any angles I have, to the benefit of the bookmakers, and also the price might shorten, while I’m writing up the article. It’s important to get on at the price advised, so if you don’t have an account with the bookie going top price, then sign up, and avail of the free bet they offer to new customers. Since it was launched in May 2013 the Free Tip of the Day is showing a profit of +192 points to advised stakes, this includes all Rule 4 deductions, and best odds guaranteed, where applicable. The Return on Investment is a good +9.6%, especially considering my best bets are on my Premium Advisory Service which has been hugely successful since launch in October 2013. Long term members of my Premium Service will have done very well from my advice, but to give new members a taste of what to expect I have a special new member offer with 25% off both the profit target and the first month of the monthly subscription. Today’s Horse Racing tip runs in the 5:15 at Southwell. Rasheeq started last season off a mark of 86, but after a disappointing year, he was sold for 12,00 gns and started out for his new yard off just 66 at the start of April over five furlongs at Southwell. He came third beaten just a neck and having come off the bridle before the two that beat him, he was staying on well close home, suggesting today’s six furlongs might suit even better. There must be a good chance his new yard can revitalize him further, he clearly goes well at this track, in his only other start here resulted in a fifteen length maiden win, and his odds of 11/1 look to underestimate his chance. If you want my best bets everyday, check out my Premium Advisory Service. The profit since launch until the end of February 2019, for the Premium Bets and the Festival Packages combined, which Premium Members also receive, is + 1,895 points, which is +€47,375 at the recommended €25 a point stakes, for an exceptional ROI of +18.4%. The figures quoted don’t include any BOG either. The recommended starting betting bank for €25 a point stakes is €3,500, so that’s a remarkable 1,354% bank growth in just over five years. If you don’t have accounts with all the bookies on my free bets page, then you should register, and take advantage of the great sign up offers. Finding the best horse racing tips, or doing your own research, is only part of the battle, to attain gambling profits. Having numerous betting accounts puts you in the position, to always get the best price, which is vital to maximize your gambling returns. I couldn’t overstate the importance of shopping around. BOG stands for Best Odds Guaranteed, which means if you take a price and SP is better, you get the SP. It’s one of the reasons why betting at morning prices is very advantageous to punters. I also provide Free Big Race Previews and Tips, so check them out, for all the grade/group one races, as well as all the top handicaps. If you find this page interesting, please share it via the social media buttons, you own blog, or online forums. Last updated by Declan Meagher at April 21, 2019 .